We know it's Martha, but still! How is this even possible? Most people deck their homes for the holidays with one — maybe two (maybe!) — Christmas trees, one in a more formal room and another in the family room filled with hand-me-down ornaments. The kids, too, might also decide to put a mini one in their rooms, but on what planet would one set up 40 Christmas trees? 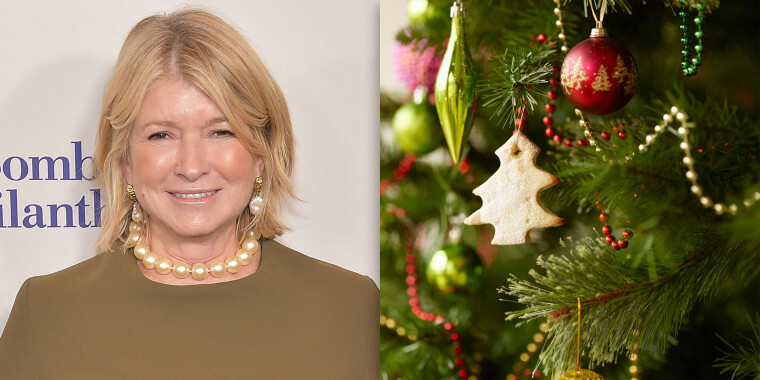 Apparently on Martha Stewart's planet, as the domestic diva told Ellen DeGeneres on "The Ellen Show" recently that, around the holidays, she fills her home with 40 different Christmas trees. Stewart admitted it was a bit "too many" but explained that she puts at least five trees in every room. Of course, we're certain that Stewart has help decorating all those trees. Otherwise, she'd have to do more than one a day! The entrepreneur appeared on DeGeneres' show to demonstrate how to make a tequila cocktail and craft a Hanukkah menorah out of a branch. Apparently that's not Stewart's only cherished holiday tradition. Last year, she posted on Instagram some photos decorating gingerbread cookies with her granddaughter's class, which must have gone down in history as one of the best show-and-tells of all time. Unsurprisingly, she also likes a lot of wreaths — and this one garnered the most comments last year, she said on Instagram. Oh, and why not toss in a bunch of plum puddings in the mix, too? Joanna Gaines, another master of home decor, doesn't have 40 Christmas trees, but she did put hers in an unusual place this year. Since the Gaines' new baby is now sleeping in their second living room, where they used to place their second Christmas tree, they decided to move the tree to the master bedroom. Maybe next year, she'll pull a full Martha and decide to put a tree in every room. Sorry, five. At least. Want the Martha Stewart look this holiday (with or without that very specific amount of trees)? Here are some recommendations from the team at Martha Stewart Living.